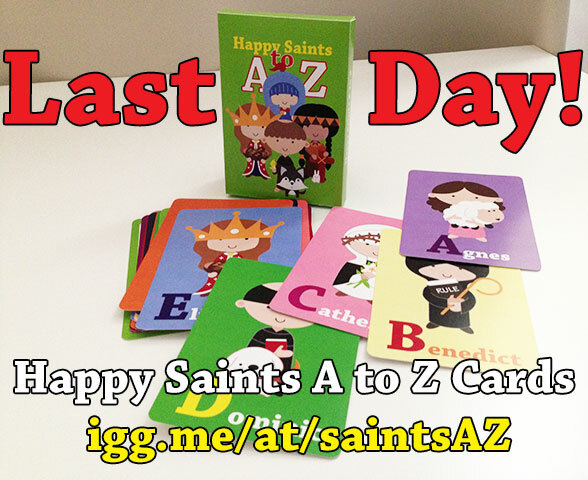 The Happy Saints alphabet cards crowdfunding campaign enters its last day. This is your last chance to get FREE SHIPPING and FREE DIGITAL VERSION when you pre-order the printed card set. You can still order the cards when the campaign is over but STOCK IS LIMITED, as there are already over 250 pre-orders now!